I just spent the last 5 1/2 hours putting invisible paint on an optical illusion...(clear coating the slat screen and stairs, I was going cross eyed while working on the screen). 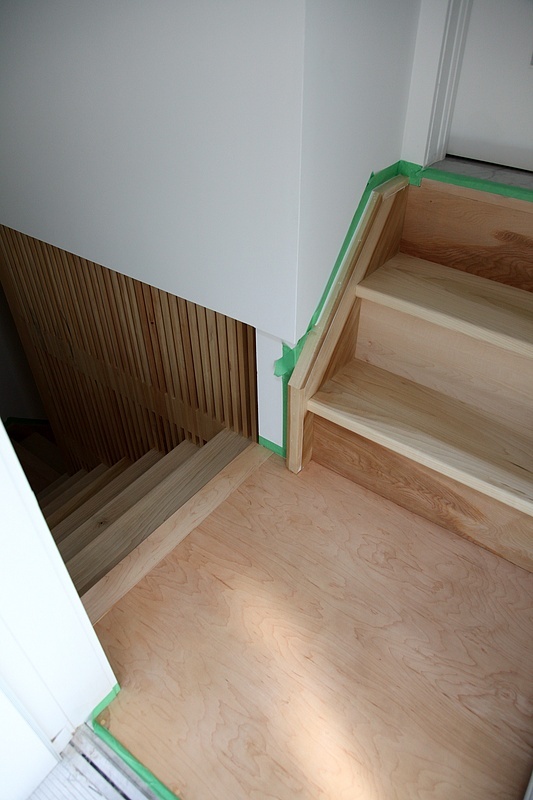 This is the first time we have seen the stairs without a protective layer of plastic...and they are super!! Update: Finished...it took me 8hrs in total...The contractor wanted to charge $1600...that's $200/hour ....not bad!